Tasty custom branded Chocolates, individually flow packed and printed with your design. Supplied in 5kg boxes (approx. 1000 individual Chocolates) with a range of wrapper colours available. 5 different chocolate flavours to choose from (Milk Chocolate, Milk Mint, Milk Orange, Mint Chocolate, Plain, Plain Dark Chocolate) allowing you to pick your favourite! 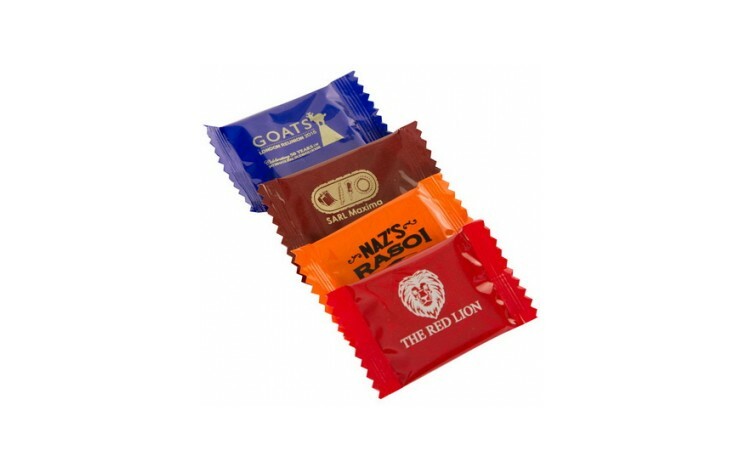 Printed with your design to the front of each individual wrapper. Prices based on a 1 spot colour print only. 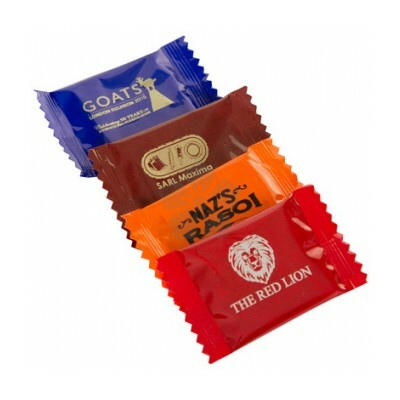 Range of flavours and wrapper colours.